ASTONISHING news just in: Home Affairs Committee chairman Keith Vaz has been in the newspapers and on the television this weekend explaining how he is “astonished” by revelations that the GCQH listening post might have been spying on personal data collected by Google and other search engines. Fair enough, it’s a pretty astonishing story but, remember, an astonished MP is a reporter’s best friend. We need them. Maybe it’s a joke that he is in on with journalists higher up the food chain, who see him as a reliable go-to man for “astonishing” comment, but Keith seems to spend a lot of his life being astonished. 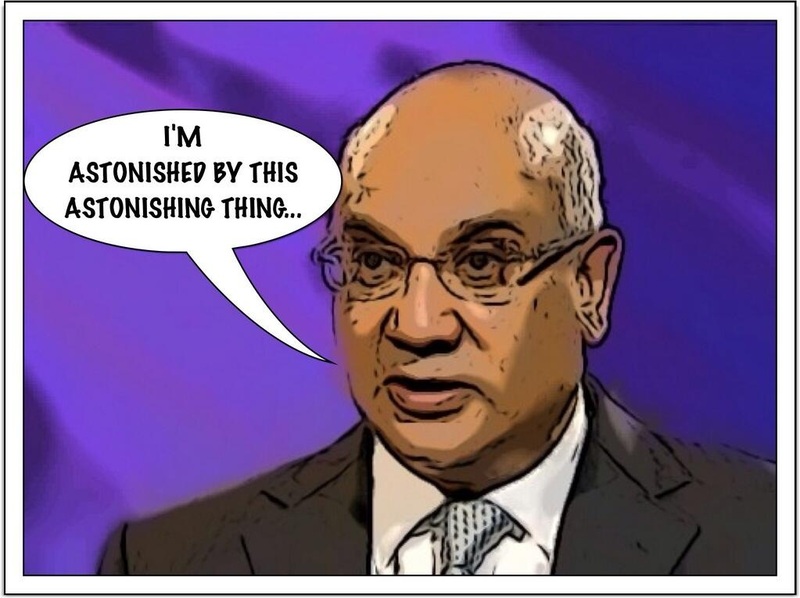 Some might even say that a news story isn’t a news story until it has astonished Keith Vaz. Over the years, he was also astonished HERE, HERE, HERE and HERE. And think of all the other examples there might be before Google searches were invented.